I honestly just wanted to make these because they're so fun to say. Totchos!!! Tater tot nachos are all over the place right now, so I had to whip up my own version. 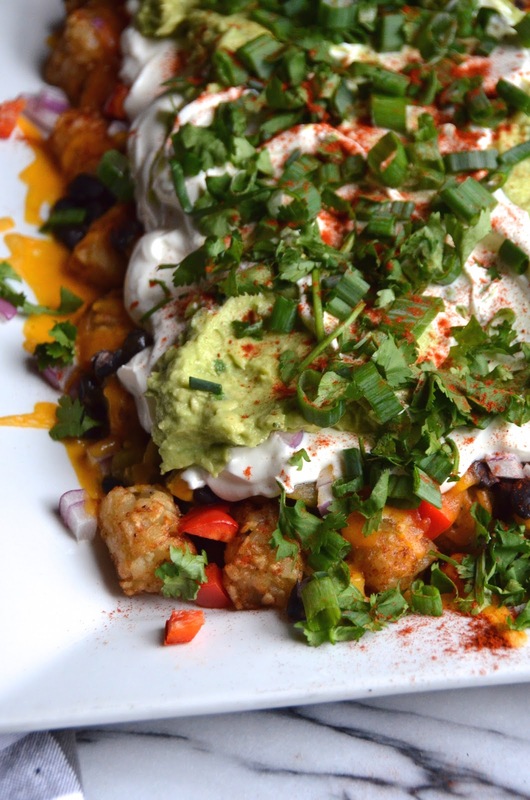 Basically just nachos made with tater tots instead of chips, they are the ultimate party dish to enjoy with friends. Note that unlike normal nachos, you definitely need a fork to dig into this messy deliciousness (definitely a good problem to have). 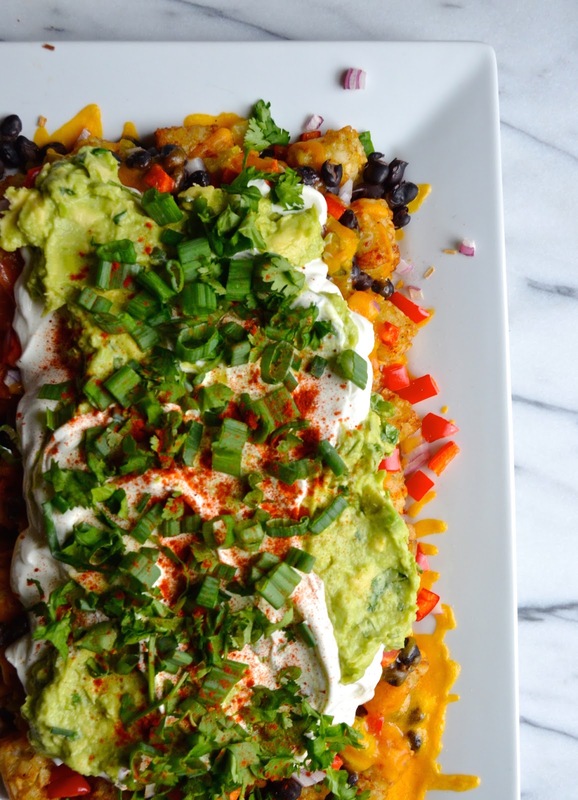 I kept this version super simple with black beans, green chilies, a few veggies, plus the uber important cheese-guac-sour cream, but also feel free to think of these as a blank canvas to have fun with! Add shredded cooked chicken, ground beef cooked with taco seasoning, sliced grilled steak, or even roasted veggies. Layer all the goodness up, baked until melty, then serve immediately. Preheat oven to 350 degrees. Prepare tater tots according to package directions, then arrange in a baking dish. Top with black beans, onions, diced jalapeños, and cheddar cheese. Bake about 5 minutes, or until cheese is melted. Top with guacamole and sour cream, garnish with scallions and chili powder, and serve immediately.